It is an offence under s.5(1)(a) of the Road Traffic Act 1988 for a person to drive or attempt to drive a motor vehicle on a road or other public place with excess alcohol in their breath, blood or urine as evidenced by a certificate of analysis or printout. What are the penalties for driving or attempting to drive with excess alcohol? The penalty imposed for driving with excess alcohol is largely dependent on the level of alcohol in a persons body at the time the offence was committed, the higher the level of alcohol, the harsher the penalty will be. 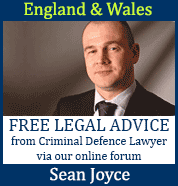 Magistrates refer to sentencing guidelines when sentencing drink drivers. Driving with excess alcohol sentencing guidelines are divided into brackets, each sentencing bracket corresponds to a certain level of alcohol in an offenders system, the higher the alcohol level, the harsher the penalty. Magistrates also take into account any aggravating and mitigating circumstances surrounding the offence as well as an offenders previous convictions, if any, before deciding on an appropriate sentence to impose. Magistrates can and sometimes do deviate from guidelines if there are sufficient aggravating or mitigating factors. If, for example, a convicted drink driver fell into the lowest sentencing bracket due the level of alcohol in their system but was involved in a serious road traffic accident resulting in serious injury to others, this could result in Magistrates deviating from guidelines and imposing a harsher penalty than guidelines suggest. What is the minimum penalty for drink driving? The minimum penalty when convicted of drink driving in the UK is a 12 month driving disqualification and a band B fine (75 - 125% of relevant weekly income). What is the maximum penalty for drink driving? The maximum penalty when convicted of drink driving in the UK is a 6 month prison sentence, an unlimited fine and a lengthy driving disqualification (36 months or more).